What a year it has been for film. Neill Blomkamp and Duncan Jones had great debuts with District 9 and Moon. Sam Rockwell acted his socks off in the latter. There was animated loveliness with Up, Ponyo, Fantastic Mr Fox and Coraline, but ugliness with Ice Age: Dawn of the Dinosaurs, Planet 51 and Monsters vs Aliens. J J Abrams beamed new life into the excellent Star Trek. There was old school horror in the shape of Sam Raimi’s Drag Me to Hell and brilliant horror comedy in the wonderful Zombieland (it had the best cameo of the year). Dario Argento’s Giallo wasn’t sure if it was a horror or a comedy. Comic book movies didn’t quite so well this year. X-Men Origins: Wolverine and Zack Snyder’s Watchmen – I enjoyed them both though despite their flaws. War movies hit the big time again. Kathryn Bigelow’s The Hurt Locker gave us an intense take on the war in Iraq and Quentin Tarantino’s Inglourious Basterds changed history for the better. That’s a bingo! 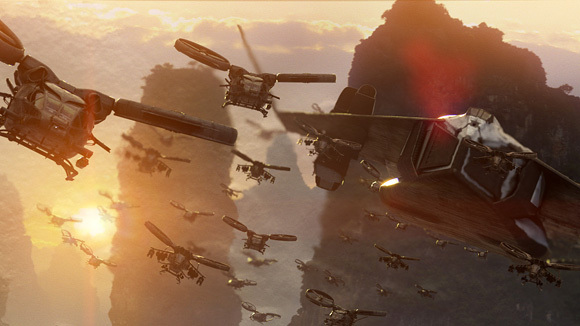 There were toy and book adaption disappointments in the shape of Transformers: Revenge of the Fallen and G.I. 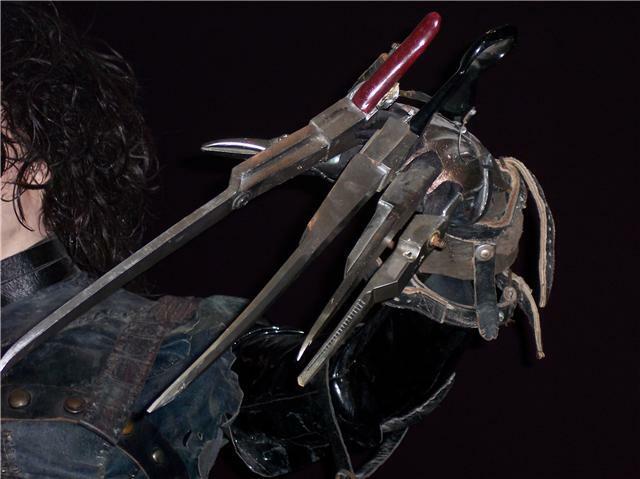 Joe: Rise of Cobra and Twilight: New Moon raked in the cash despite not being very good. Peter Jackson’s The Lovely Bones had mixed reviews. Joaquin Phoenix lost the plot or is playing the long con when he quit acting to become a rap star and James Franco started an artistic endeavour by appearing on General Hospital. Both Dragonball Evolution and Streetfighter adaptions had poor finishing moves at the box office. Terminator Salvation brought us our first proper glimpse at Sam Worthington, but left many cold and Ben Foster chased through the darkness in Pandorum. The Stath did it again in Crank: High Voltage and blaxsploitation returned with Black Dynamite fighting The Man. 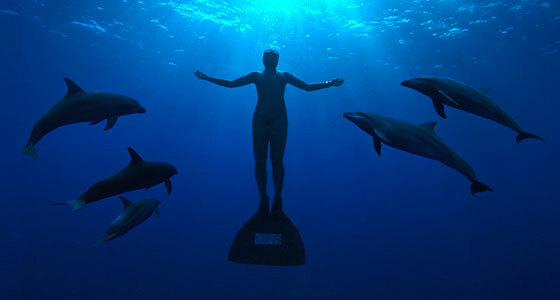 The Perfect Getaway had a few twists and turns from the norm and The Cove opened my eyes to the slaughter of dolphins. Chaos reigned in Lars Von Triers’ Antichrist. Bruce Willis went plastic in Surrogates. Gerard Butler was a Gamer and a Law Abiding Citizen. George Clooney was Up in the Air after The Men Who Stare At Goats. The Coen Brothers’ A Serious Man and Colin Firth as A Single Man confused a few while Carey Mulligan had An Education that many adored, but left me disappointed. Johnny Depp and Christian Bale were Public Enemies and Viggo Mortenson began a long walk down The Road. Audrey Tautou showed us Coco avant Chanel. Spike Jonze sailed to Where the Wild Things Are, Richard Kelly opened The Box and The Hangover gave a headache to no-one. Clint Eastwood made Invictus. Jeff Bridges had a Crazy Heart while Terry Gilliam and Heath Ledger took us to The Imaginarium of Doctor Parnassus. 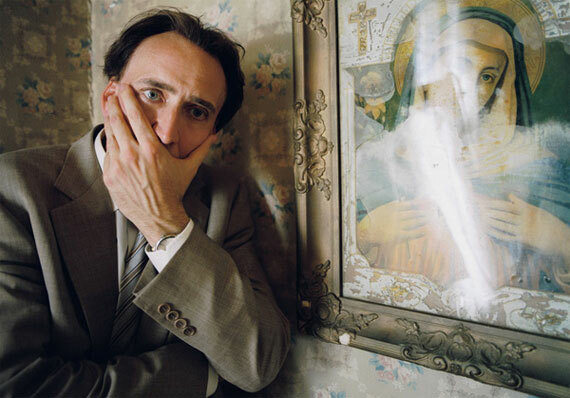 Nicolas Cage began a slow climb to redemption with the aid of his lucky crack pipe in Bad Lieutenant: Port of Call New Orleans and Harry Potter and the Half-Blood Prince brought us ever closer to the end. An Orphan scared us, In the Loop made us laugh at the political shenanigans, Paranormal Activity scared us, (500) Days of Summer and Adventureland made us happy in a sad way, World’s Greatest Dad reminded us how good Robin Williams could be while Old Dogs reminded us how bad Robin Williams could be. sin Nombre and Thirst were two of the many excellent foreign language films released and Jim Jarmusch showed us The Limits of Control. So many films watched but so many more missed. The way it has always been and always will. That does mean that there are still many wonderful moments to be watched or to take us by surprise when we turn the channel late one night and an unexpected film has just begun – often films you would never normally watch but you end up thoroughly enjoying….and I don’t mean a bit of blue for the Dads! I suppose that is one of the great things about movies. You will never be able to watch them all and you wouldn’t want to. We don’t all watch the same ones yet that means we all have fresh takes on each others favourite films. They can bring us together or lead to intense arguments. Did Han did shoot first? Most of all, for the 90 minutes or more they are on, a movie takes us away to another place. Not always a nice place, but it is a break from the real world no matter what. Bad, good or wonderful they are all groovy and bring us all together. As for me I have had some wonderful moments related to film – I got to speak to Marion Cotillard, Johnny Depp, Duncan Jones and David Sullivan. The site moved over to WordPress and has been going from strength to strength since then – thanks to everyone for taking the time to stop by and have a look. The Live for Films Movie Club began and is still going to help share cool movies you may have missed (thanks to those on the Forum for sorting all that out). Live for Films researcher and reporter Pamela Fruendt went along to Tim Burton’s art exhibition at New Yorks Museum of Modern Art. Many people contributed reviews for favourite horror films during Halloween including author Michael Marshall Smith (he reviewed Halloween) and director Andrew Barker (he reviewed Blood Feast). My Wife enjoyed getting parcels full of DVDs and Posters addressed to Live for Films and I just had a ball doing what I do and have been constantly surprised that so many people seem to dig what I dig, you dig? What have been your highs and lows in films for 2009? What great films have I forgotten and what should I have watched? What films do you wish you have not watched and what film did you see many time? What surprised you? What made you laugh, cry or hurl? Now we have 2010 to look forward to. Apparantly, according to Dave Bowman, it will be full of stars. Here is the first TV spot for Terry Gilliam’s next film. Due out in the UK on 16th October and the USA on 25th December. A third clip from Terry Gilliam’s new film. Thanks to Pam for sending me the link. 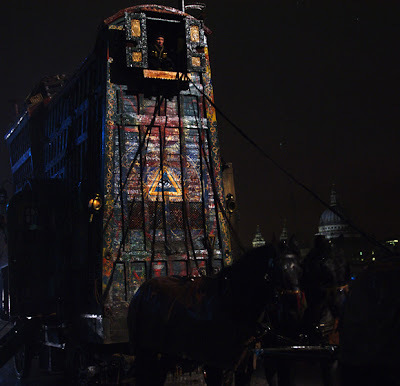 A second glimpse at Terry Gilliam’s latest dream. Verne Troyer – How cool? 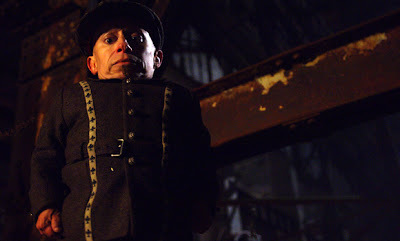 Verne Troyer (a.k.a. 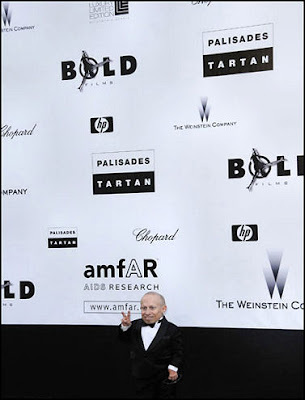 “Mini-me” in the Austin Powers films) at Thursday’s AMFAR benefit bash in Cannes. He’s starring in Terry Gilliam’s The Imaginarium of Doctor Parnassus. This is more of a promo reel than a proper trailer, but it has lots of concept art, some footage from the film and lots more. Can’t believe I’ve not seen it before. 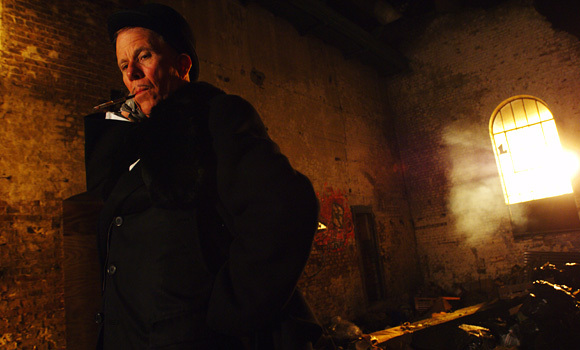 Check out these new photos from Terry Gilliam’s new film. It just looks better and better. They show Heath Ledger as Tony, Christopher Plummer as Dr. Parnassus, Lily Cole as his daughter Valentina, Verne Troyer as his sidekick Percy, and Tom Waits as the Devil himself, Mr. Nick. 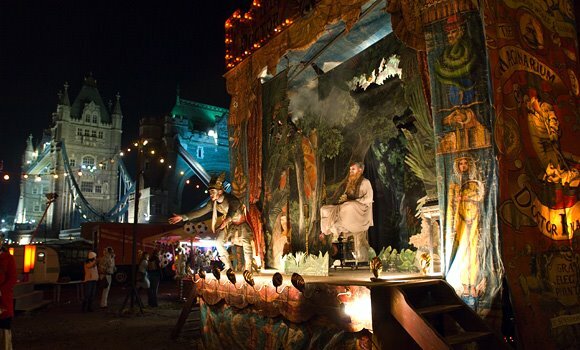 The Imaginarium of Doctor Parnassus is a modern-day fantasy adventure in which Dr. Parnassus has the extraordinary gift of inspiring the imaginations of others. 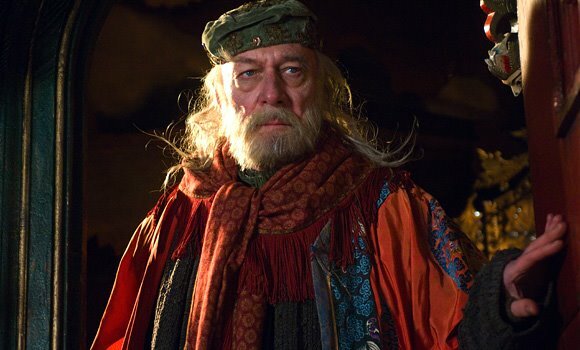 Helped by his traveling theatre troupe, including his sarcastic and cynical sidekick Percy and versatile young Anton, Parnassus offers audience members the chance to transcend mundane reality by passing through a magical mirror into a fantastic universe of limitless imagination. However, Parnassus’ magic comes at a price. For centuries he’s been gambling with the devil, who is coming to collect his prize – Parnassus’ precious daughter, Valentina on her birthday. Looks like it’s going to be brilliant. Heath also talks about Terrence Malick’s The Tree of Life. Thanks to Pam for sending me the links. This is the first 15 second preview of Terry Gilliam’s new film shown at Cannes opening night festival.